Brian Doyle was a hirsute shambling shuffling mumbling grumbling muttering muddled maundering meandering male being who, until his death in 2017, edited Portland Magazine at the University of Portland, in Oregon – the best university magazine in America, according to Newsweek, and "the best spiritual magazine in the country," according to author Annie Dillard, clearly a woman of surpassing taste and discernment. Doyle was the author of many books, among them: five collections of essays, two nonfiction books (The Grail, about a year in an Oregon vineyard, and The Wet Engine, about the "muddles & musics of the heart"), and two collections of "proems," most recently Thirsty for the Joy: Australian & American Voices. His novel Mink River was published by Oregon State University Press. Doyle’s books have four times been finalists for the Oregon Book Award, and his essays have appeared in The Atlantic Monthly, Harper’s, Orion, The American Scholar, and in newspapers and magazines around the world. His essays have also been reprinted in the annual Best American Essays, Best American Science & Nature Writing, and Best American Spiritual Writing anthologies. Among various honors for his work is a Catholic Book Award, two Pushcart Prizes, and, mysteriously, a 2008 Award in Literature from the American Academy of Arts and Letters. His greatest accomplishments were that a riveting woman said yup when he mumbled a marriage proposal, that the Coherent Mercy then sent them three lanky snotty sneery testy sweet brilliant nutty muttering children in skin boats from the sea of the stars, and that he made the all-star team in a Boston men’s basketball league that was a really tough league, guys drove the lane in that league they lost fingers, man, one time a guy drove to the basket and got hit so hard his right arm fell off but he was lefty and hit both free throws, so there you go. 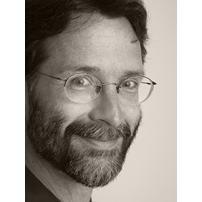 Read Greg Pierce's tribute to Brian Doyle in Notre Dame Magazine.